How do you effectively reposition a brand to penetrate an already competitive and highly saturated ‘Health & Beauty’ segment? 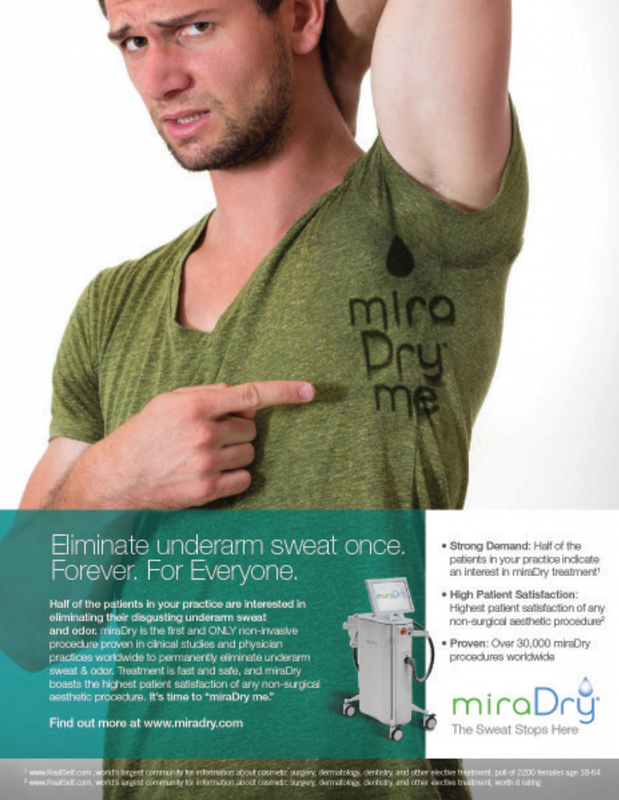 This was the challenge presented to us when Miramar Labs approached us to rebrand and reposition its miraDry brand – from a medical treatment focused on hyperhidrosis, to a cosmetic procedure that permanently removes sweat and odor. We started with a complete rebranding exercise – creating a new positioning statement, brand identity, softer secondary color palette (based on core neuroscience principles), logos, tagline, brand guidelines and more. We then revised all brand messaging to highlight miraDry’s new positioning, and created all supporting collateral (for both Consumer and Physician marketing). In the coming months after the rebrand, miraDry’s new positioning and awareness took off across both digital and traditional platforms and shortly thereafter it won 1st place in the Product Innovation category at the Annual Aesthetic Awards.